Apply for an EIN online for Free. Seriously. Applying for your employer identification number (Tax ID) online is a free application if you go to the right place. We’ve have found that some of our customers are being charged a fee when they apply for their EIN online. This fee is as high as $257 or more if an expedited service is requested. Along with the fee it takes 2 days to process their application. Applying for an EIN online is free. SERIOUSLY!!! So where exactly can you get it for free? Straight from the source! 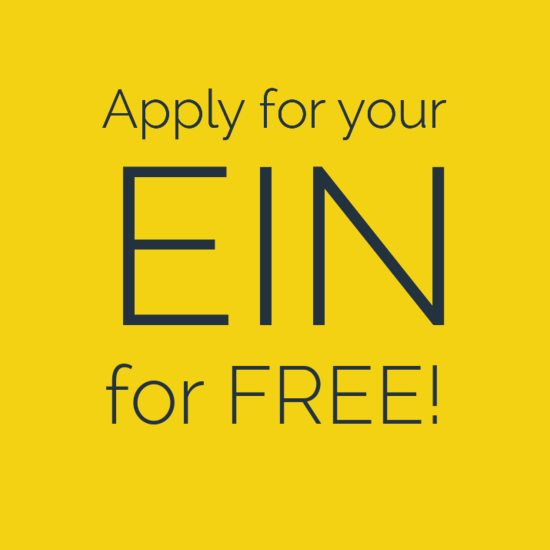 You can apply for your EIN online for FREE directly on the IRS’s website. Applying for your EIN through the IRS’s websites it’s not only free but it does not take 2 days to process your application; your are issued your number INSTANTLY!